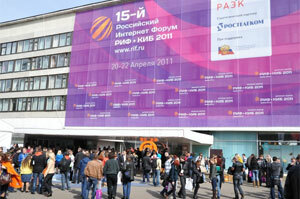 I just came back from Moscow after spending three days at the RIF+KIB 2011, the biggest Internet conference in Russia. I decided to attend this event to use this opportunity to promote SEMPO in Russia, and learn for myself about SEO/SEM business practices in this rapidly growing market where Yandex, not Google, is a dominant search engine, and what difference does it make. It was a very interesting experience, I have learned a lot about the Russian Internet industry (called RuNet in Russia) and particularly about online marketing business there, and I met a lot of great people there. About 7,000 people attended this three-day event, mostly young, in their 20’s and 30’s, very ambitious and eager to learn about the Internet industry. The program of the conference consisted of two main groups of events. The main program was formed by organizing committee and it was broken into sections covering a lot of topics: Online Marketing, Web Development, Social Media, education, start-up businesses, legal aspects, government regulation, etc. The second group (Program 2.0) was formed by participant’s voting for presentations submitted prior the conference. I submitted three proposals to speak, with topics like International SEO, Internet Marketing Education and SEMPO itself and at the end none of them were accepted. Presentations about education was getting quite a lot of interest and votes, but at the end it was the only presentation in this section and was rejected based on the rules. International SEO presentation (which was the only one) was taken into consideration for Regional Promotion section along with several other speakers, and this section was very popular with participants who voted for it. I was watching the voting very closely, and I was confident it would be one of the most popular among attendees. Unfortunately, when I came to the conference, somehow, in a very mysterious way, the whole section with 8 speakers from other regions of Russia wasn’t included in Program 2.0 of this event. During the conference I had talks with representatives of almost all major players in Russia like RAEK (Russian Association of Electronic Communications), Yandex (most popular website and search engine in Russia), Begun, Ashmanov & Partners, RBS Corp., RU Center, 1C-Bitrix just to name few. We were talking about the growth of Internet industry in Russia and problems it’s experiencing right now, differences in practices and approaches. Interesting diagram of Russian Digital Marketing Eco-System was presented by Boris Omelnitskiy, CEO of Begun, one of the Top 5 Internet advertising platforms in Russia. It shows key sectors and all major players on this fast growing market. Begun’s Marketing Manager Elena Klimanskaya was very kind to spend some time with me and providing some valuable information about the landscape of Internet marketing in Russia, explaining me how it works in the market where Google has just around 20% of search market share, Facebook has only 5 million users to this date, and number of Twitter’s users is slowly growing as well. I had a great talk with Ksenia Ryzhkova, Director of Marketing and PR for Ashmanov & Partners, the leader in the field of Internet Marketing in Russia. This company leads the way through organizing conferences, hosting monthly workshops, publishing books about SEO and providing training to new and experienced specialists. Company has experienced big growth in business in last three years that were troubled years for many other businesses in Russia. Ashmanov started to develop its own sophisticated SE tools like this Search Engine Analyzer . It was very unusual to see so many government officials speaking at such an event. Russian president Dmitry Medvedev has sent a greeting message to the participants via Twitter, Minister of Communications and Information Technologies Mr. Igor Shchegolev took a tour around the expo floor and later participated in round table discussions along with his deputy minister. Several presentation were covering topics like Government 2.0, new initiative to implement IT and online solutions for the federal and local governments that can offer information and government services to the general public over the web. It was also interesting to learn that Russian government has an interest in developing a new national Internet search engine independently from Yandex. When and how this ambitious project will be accomplished – nobody knows, but it would be interesting to see how this new SE will compete with Yandex and Google, how popular it will be with Russian Internet users. Russia is second largest Internet market in Europe (just behind Germany) with 57 million of Internet users and continue to experience a big growth, especially in the regions far from Moscow and St. Petersburg, in smaller cities. Approximately 40% of those users were using mobile devices to access Internet. 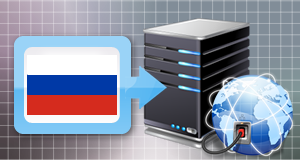 In 2014 the RuNet audience expected to reach 80 million users, with 71% penetration rate. E-commerce is getting more and more popular among Russian shoppers as more people is getting access to Internet and credit cards. About $7.5B were spent online in 2010 with forecasted growth of 17% in 2011 (approximately $8.75B). Russian SEM companies are totally focused on Yandex, the leading search engine and most visited website. This search engine has its unique web search service based on a proprietary machine-learning method MatrixNet . Yandex has its own webmaster tips , but more info can be found in Yandex Recommendations for webmasters that are very similar to Google’s Webmaster Guidelines (unfortunately, this document is available in Russian only). Yandex.Webmaster tool also looks pretty similar to Google’s, with pretty similar functionality. So all these things can be taken as an indication that if your website is optimized according to the Google’s rules, then it has pretty good chances to rank well in organic SERPs of Yandex as well (of course if the content is written in Russian). If you want to use PPC advertisement in Russia, Google AdWords could be one of the options, but Yandex.Direct has a clear advantage in this market as well. Be prepared for minimal spending budget that is around $700. 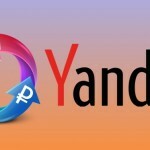 You can set up ad campaigns on your own or use one of the certified Yandex ad agencies to help you with this. 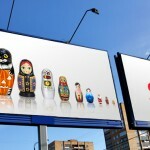 Banner advertisement is still a big topic in Russia. To me it sounds like a stone age, but this is the reality in Russia. All major ad networks like Yandex, VKontakte or Odnoklassniki offer banner advertisement in their networks, and apparently it works well for many advertisers. Few SEM companies from Moscow and St. Petersburg totally dominate the Russian market. They open regional offices in other major Russian cities and try to do most of the business through their reps there. Russian market looks very self-isolated at this moment. Almost all Russian online marketing agencies don’t do any business outside of the Russia and CIS countries like Ukraine, Belarus, Armenia or Moldova. Possibly because of language barrier, lack of advertisers interested in foreign market, or because of lack of knowledge in latest search marketing techniques, they simply aren’t ready to do business the way it’s been done in North America and Europe. Out of hundred presentations at this event none was about doing SEO/SEM internationally. This isolation of RuNet also could be a problem for any foreign SEM company that has plans to open office and try to do business in Russia.